A celebration theme cover's these wonderful daubers. Our Celebrate's have 3oz or 80ml of Dab-O ink. 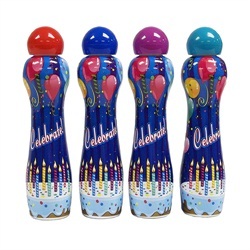 I'm going to order all the colors in the Celebrate daubers as a gift for my friend for her birthday next April. Then, I can use them in August, for my Birthday.